Offering you a complete choice of products which include colored hot stamping foil, flower hot stamping foil, holographic hot stamping foil, multi color hot stamping foil, abs hot stamping foil and hot stamping plastic foil. We are a renowned and customer centric firm, which is engaged in delivering a comprehensive range of Colored Hot Stamping Foil. 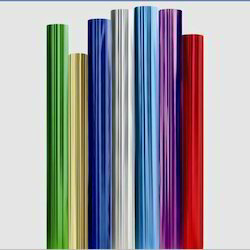 These are mainly used for packing and decoration. The offered products are highly durable in nature and easy to use. Apart from this, this product is available in various colors and sizes to choose from. 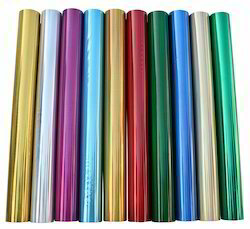 We are the leading name in the market engaged in offering a wide assortment of Flower Hot Stamping Foil, which is available in different colors, shades, and exquisite designs. 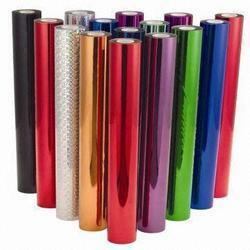 The hot stamping foil is used to print batch number with the temperature 100-180 degree. In addition to this, we offered these products at very reasonable rates. The wide range of Flower Hot Stamping Foilis available in different varietal colors, shades, and exquisite designs. The hot stamping foil is to print batch number with the temperature 100-180 degree. The date and code have been mentioned on Packaging Bags which is used on coding machine to print batch number. 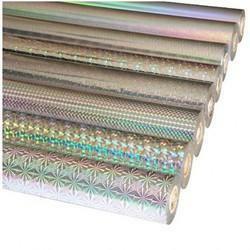 Holographic Hot Stamping Foil includes Universal foil grade outstanding physical and chemical resistance and suitable plastic cosmetic parts made from HDPE/PP/ABS & PVC. We are known as the specialist in producing Metallic Gold Silver and Color Hot Stamping for Textile for many years. 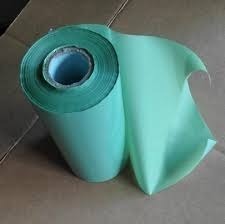 It is mainly used for packing, festival decoration. These products are made from fabric printing process which can be recycled easily. The comparative price of this product is an added advantage. We are offering a wide range of ABS Hot Stamping Foil to our respected clients. Our offered products are made from quality tested materials with following set industry standards under the direction of experts. 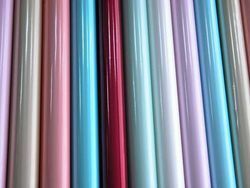 The provided foils are ideal for adding color, creating stronger product identification, and providing scratch, and product resistance. 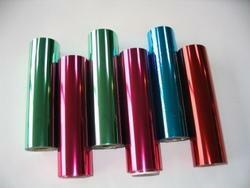 We are providing a qualitative range of Pigment Hot Stamping Foil. Available in different sizes, this is ideal for product identification and packaging, appealing paperback book covers, effective promotional materials and corporate publications and plastic products. Moreover, we offer these products at very reasonable rates. 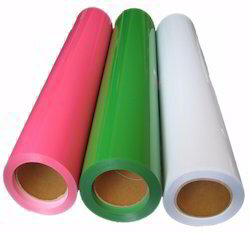 We are offering to our client Hot Stamping Foil for Polypropylene. 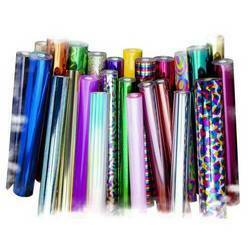 We are providing to our client Hot Stamping Plastic Foil for Pet Jars. Looking for Hot Stamping Foil ?